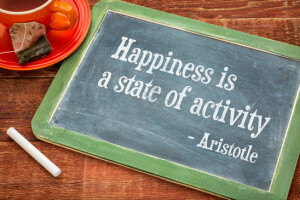 Aristotle in Kindergarten—What Do Children Miss? When I read in The New York Times about Matthew Levey, a Columbia alum and former McKinsey consultant, who is setting up the International Charter School of New York, I was stunned! The school is starting out with 70 kindergartners and first graders and will eventually go up to fifth grade. Mr. Levey starting a school doesn’t stun me. MBAs, with no teaching or education credentials, starting up schools is trendy. While my college prepared, fully credentialed teacher friends in their public school classrooms are evaluated with gotcha exams to push them out of their careers, if you are a business person it’s an open field. Our tax dollars are yours no matter who you are and what you teach! Mr. Levy has plans for these little children. He cares about teaching them: how Francis Bacon developed the scientific method, why Aristotle matters and what led to the decline of the Roman Empire. That’s what stuns me. How many five year olds do you know who have been yearning to find out about Aristotle? And do you really want your little kid learning about the fall of a civilization? What are the other things they could be learning at this important developmental period in their lives? I don’t want to discourage a child’s quest for great thoughts, and maybe some kindergartners would rather cozy up to the philosophers, but when you force students to study Aristotle, when they don’t want to, they are missing out on what they really would like to learn about. I’m thinking The Berenstain Bears perhaps. What great thoughts go there! Brother Bear and Sister Bear learning life’s lessons might seem more philosophy friendly than a man in a white robe. Of course, if Aristotle and Bacon, and the fall of a civilization, give these children nightmares, or it doesn’t grab them, and I’m guessing it won’t, Mr. Levy wants rich and poor, black, brown, Asian and white (good diversity anyway) learning about Charles Darwin in kindergarten, the Han dynasty astronomer Zhang Heng in second grade and sub-Saharan Africa in third. His math curriculum, known as Jump Math, was developed by a Canadian mathematician-playwright, John Mighton. Give me a minute to look up Zhang Heng! I myself took a philosophy class in high school where I learned about Aristotle. I was a senior. I loved the class and the teacher who talked about applying philosophy to everyday life. Thank goodness, however, that no one tried to teach me about Aristotle when I was in kindergarten! I would have hated school. Quite frankly, I would have detested anything that took me away from the play kitchen and my new little friends, or running off to build with big wooden blocks. I would have missed nap time too. Yes. We still did those things in kindergarten! And recess! Even though it was a half day, we had plenty of outside play—even in the winter! The picture above, by the way, is Plato, not Aristotle. I didn’t want you philosophers to think I didn’t know that. Plato taught Aristotle, and surely he didn’t teach philosophy in kindergarten, because this is what Aristotle learned. I am assuming Aristotle had a lot of play in kindergarten. There will be parents who buy into this push to teach students information before they are ready—who think this is the way to create a genius. I am sorry for what their children will miss which is the children’s right to be—children—and do the things that children do. In other words, it doesn’t make sense to teach kindergartners Aristotle. Try Seuss instead. Or read life’s best philosophical lessons from my favorite bear family, the Berenstains. Let children be their age. Don’t make them miss out on childhood. I taught about Roman things to Headstart children in the Henry Horner projects during the 90’s. We were being threatened with closure – two blocks from the 1996 Democratic Convention, The neighborhood was being gentrified and the poor were being pushed out.. The school was wonderful – we teachers had been taught to write grants and had created a variety of rich curriculums. I won one that I described as “African Greco Roman antiquity”. I converted white T shirts into Roman tunics by painting an antique design at the hem and collar. The chidren made their own medallions from clay pressed into an oversized piece of costume jewelery I’d found that had an raised “ancient” profile on it. They painted them with gold tempura. The parents made wreaths for their heads with plastic leaf vines from the craft store. A man who’d constructed a Parthenon visited with his model and the children made their own with their wooden blocks. We took them to the Art Institute and photographed them with statues of antiquity. Many other activities. But getting back to Daley and Paul Vallas wanting to close our school so that they could bring in the charters (with the blessing of incumbent President Clinton) – the parents and teachers took the children in their costumes for walks in the neighborhood to get signatures on petitions against the closings, took them to places where the mayor would be speaking, and joined marches around the United Center where the convention was being set up. The preschoolers stood out at the rallies and events. Newspapers sent photographers. We told them the children were learning about democracy and their rights as citizens. It didn’t hurt that 1996 was the year Michael Jordan, of the Chicago Bulls, who played basketball at the United Center, was endorsing Hanes underwear and the ads featured him as an Olympian. There’s more than one way to skin a neo liberal rat and the city backed down. We were not closed that year. For another eight years we fought on as they hammered away with contrived ratings, steps for “improvement” and demolished the public housing around us. We left our school with our heads held high, unvanquished. This fight is not over. They have been out to privatize Head Start for years. How sad that your school was closed even though I would debate the Roman curriculum. Hey! If it worked for your little ones so be it. Thank you for commenting, Sandra, and telling your story. The Roman curriculum was play as far as the children were concerned. And play acting Romans is just as fun as playing Bearenstein Bears. The children don’t care, they are just having fun. They were not getting out of it what high school or college children would, but that is just fine. Now, however, we are leading children down a terrible road, trying to expose them to reality of the social ills of society, and pushing them to be “change makers” as they discussed on the Gates-funded Begathon that was on Friday night. Brainwashed children will not find the solutions in the future, and will grow up to be fanatical, confused and neurotic adults. But children who are allowed to think freely, and be creative, would be just like those great inventors, discoverers and “change makers” of the past. 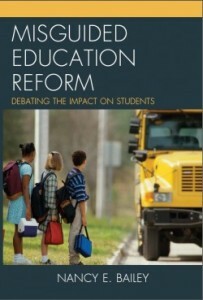 Education and the future of American children is in dire straits. Interesting, momma, I did not see Think it Up so I need to read about it, but I probably will agree with you. I have never cared for Donors Choose for that reason either. Many of the requests seem to be for items schools should be funding. Thank you for your comment. I don’t know anything about this school, but I think is sounds interesting. Our daughter has read a lot of Berenstain Bears books, but my husband also spent some bedtimes reading to her about Zhang Heng. Not because he wanted to create a genius but because he wanted her to teach her respect for other cultures from as early an age as possible. If we have no qualms teaching young children about Christopher Columbus, is it so bad to introduce them to Zhang Heng, the scientist that saw the earth as round as the yolk of an egg back in 100AD? I think if you asked my daughter who Zhang Heng was today, I’m sure she will have forgotten. Here’s what she remembers: Lots of people throughout time have thought the earth was round, scientists have been making discoveries for a very long time, and once she made a seismoscope (inspired by Zhang Heng’s) with her father. They watched for earthquakes for weeks, but one never came. Charles Darwin? Not sure my Baptist mom would like that, but 5 is not too young to learn about adaptations. That’s the age when my kid was totally enamored by Venus flytraps and was getting her mind blown by the fact that plants could be carnivorous! While we’ve never read Aristotle’s Poetics at bedtime, there is a lot to be said for teaching a young child that being ethical makes you happy, and we also talk about catharsis when we read stories. She is a pretty anxious kid and knowing that sad stories have a larger purpose is actually comforting for her. None of these things get in the way of playing with Legos, making mud pies, or dressing up dolls. We no longer live in Brooklyn, but there is a very parent-driven educational culture in New York City. One (potentially too academic) school that is seen as very good is the Anderson School on the Upper West Side. It was partially created by parents who couldn’t get their kids into the city’s oversubscribed gifted program. When a parent today complains of not having options for their child in NYC, they’re told to “Be like the parents at Anderson. Get involved. Do it yourself.” So they do. It’s part of the culture–and these schools aren’t all regimented charters full of TFA teachers. Most of the schools listed in that Times article are Reggio inspired. I think they want the same things for kids that you espouse. Thank you for your thoughtful post, Laura. I understand that helping a child discover the world should be beautiful as you describe. And it is troubling that some charters are run like military camps. I have repeatedly written, and subscribe to the idea, that educators and parents and should listen to children and meet them where they are so as not to either shortchange or overwhelm them. Good parents and teachers do this. I think that is also one of the reasons we need smaller class sizes for teachers in K-3rd grade. Reggio Emilia promoted discovery and group learning which I also endorse. Introducing a child to interesting concepts, stepping out of their age level, especially if they are curious, is a great thing and I did not mean to imply otherwise. But a school selling itself on such high level skills for all children seems showy to me. There seems to also be a hyper push to make children learn more advanced information faster than ever before. My point with this post was to say slow down and don’t miss out on what might resonate with the child at their developmental level. Also, I am a public school advocate and believe certain credentials are required for a school to run effectively. I question anyone who has not studied child development who sets up a school, with tax dollars, based on the promises this school promotes. It looks like Mr. Levey had difficulty selling his ideas at first too. But you are free to disagree. Also, I pulled up this multicultural book list that you might enjoy. Very best, Laura. The NY times article never says that kindergarteners will be taught Aristotle. While I agree that we need to achieve a balance between being kids and developing young minds, I don’t agree with the level of creative license you’ve taken to make your point. Also, I’ve yet to see any hard evidence of teachers being pushed out of their careers by “gotcha tests”. It’s a notion that is constantly shoved down my throat as a parent but one I have yet to see actually happening. It’s in the first paragraph of the article. It is easy to miss… I gave a direct quote about Aristotle from the NYT. I’m sorry you think I’ve taken creative license. 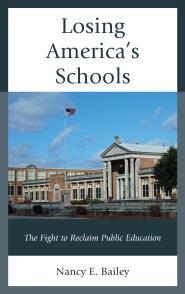 I care about children and public schools and I am careful about citations and links. You can certainly disagree with my opinions. As far as tests, I think it depends on where you live. But it is a goal and it is happening in some places. Tennessee and Houston saw push back. I think Florida too. You have addressed the major contradiction of accountability. How in the age of Common Core do you get away with teaching things that are not on the test? Today teachers would have little time to delve into Aristotle. More importantly, real world learning by going to the museum non existent in the present day testing environment..Teaching Aristotle in this present day approach– sit down, shut up, sit at your desk six hours, and take the test–would not work.